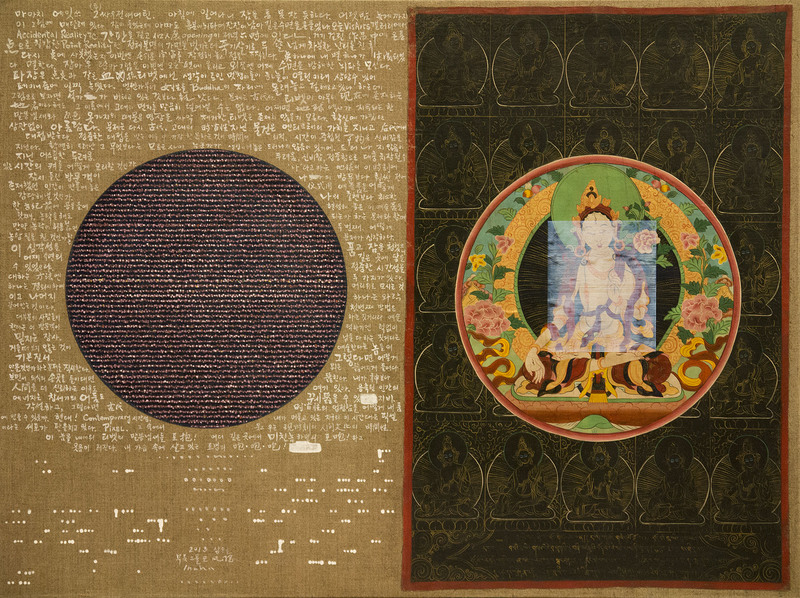 transformations of the traditional Tibetan thangka paintings. and interviews with The New York Times, Art in America and CNN. Chosonhwa, which was published in Korean by Seoul Selection in the spring of 2018. The English version of the publication will be available in the summer of 2019. English in conjunction with the Gwangju Biennale.